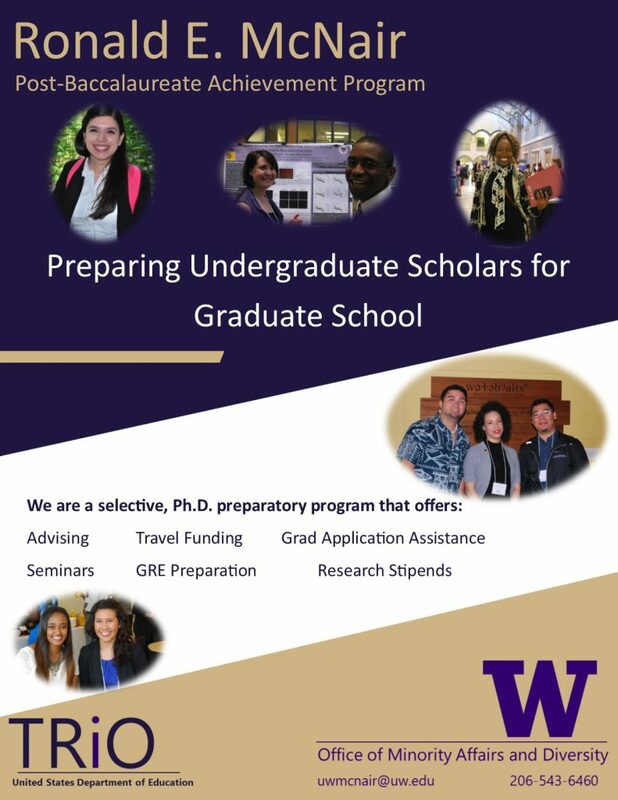 The objective of the McNair Program is to prepare currently enrolled eligible UW undergraduate students for doctoral study in their chosen fields. In order to apply for the McNair Program, you must meet the following eligibility criteria, set by the Department of Education. Because this is a federally funded program, these are strict requirements. 1Post-baccalaureate students and students who already have a bachelor’s degree are not eligible for the program. 2Students with a lower GPA may reach out to program staff to discuss eligibility. 3Students whose career goals include a medical (MD) or other professional degree (JD, MBA, PharmD, etc.) are not eligible for the program. Please refer to the Additional Resources page. E-mail uwmcnair@uw.edu or call 206-543-6460. Applications for the 2019-2020 McNair Scholars are due Friday, Feb 1, 2019. Turn your application in today! 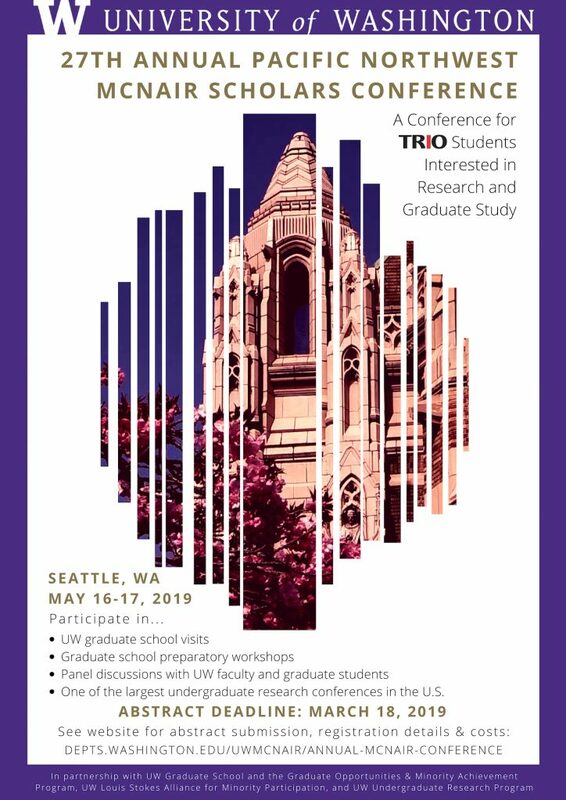 Registration has opened for the 27th Annual Pacific Northwest McNair Scholars Research Conference, held on May 16-17, 2019. Register today! You are welcome to drop in at your convenience. However, to ensure that someone is free to meet with you, we strongly encourage you to make an appointment. We accept appointments Monday through Friday, 9 am – 4 pm. If you want to meet with one of our advisers, please call or e-mail our office to set up an appointment.